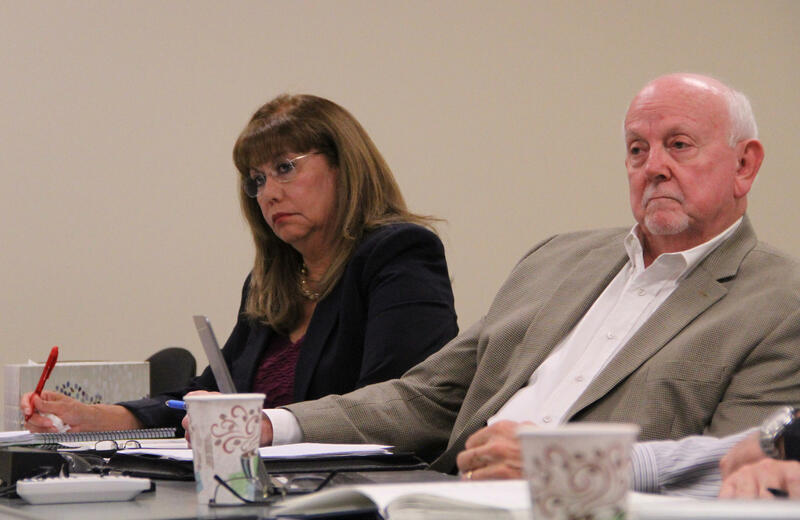 Sylvia Flores, the city's assistant director of labor relations, and Larry Watts, the interim director, listen during contract negotiations with the Austin Police Association. “I’ve sat in these negotiations since '08 and I can’t remember a time we had even one person from the community come in and actually observe the negotiations," he said. "And in 2017, we’ve got a very engaged community who’s really interested in what we’re doing at the table." 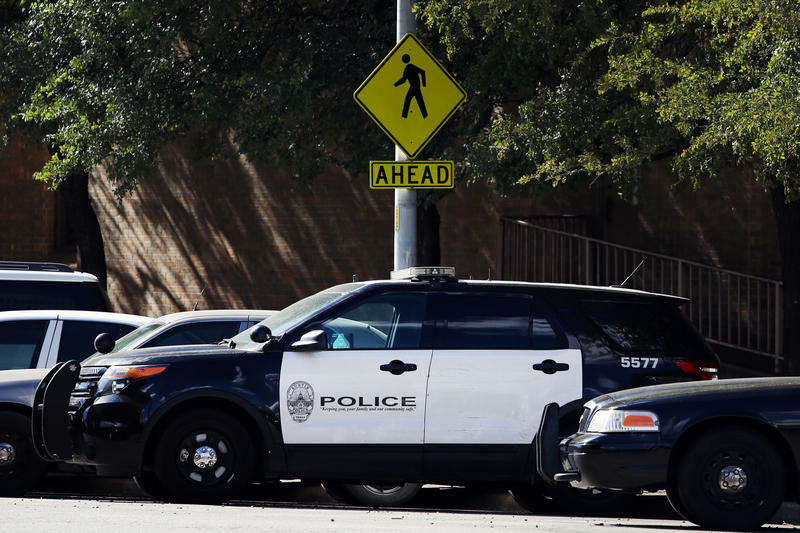 The city has been bargaining with the Austin Police Association over a new contract since the summer. They reached a tentative agreement Thursday night. This year, a coalition of advocacy groups led by the Austin Justice Coalition and the Texas Criminal Justice Coalition made a list of suggestions to increase accountability and transparency in the department. “All these organizations came together during the beginning of this contract process to come up with the most important things that we all together thought would start to bring a new relationship between the department and the officers and the community," said Kathy Mitchell, a campaign coordinator with Texas Criminal Justice Coalition. "A relationship of faith and trust." Mitchell and her fellow organizers were asked by the city to prioritize their suggestions. They ended up asking for eight things, including changes to the complaint process and the disciplinary process for officers. “One of our reforms that everybody wanted came into the contract early on and that was that people could file complaints online," Mitchell said. Currently, complaints against an officer must be made under oath at the Police Monitor’s Office. The change would allow people to phone in complaints anonymously or send them via email. Larry Watts, the interim director of labor relations for the City of Austin, is in charge of negotiating the new contract for the city. He said the city valued the input of the coalition and that its suggestions influenced negotiations. “They offer a perspective – that’s a legitimate perspective, for people of color particularly in the City of Austin – that didn’t often get heard during negotiations,” he said. 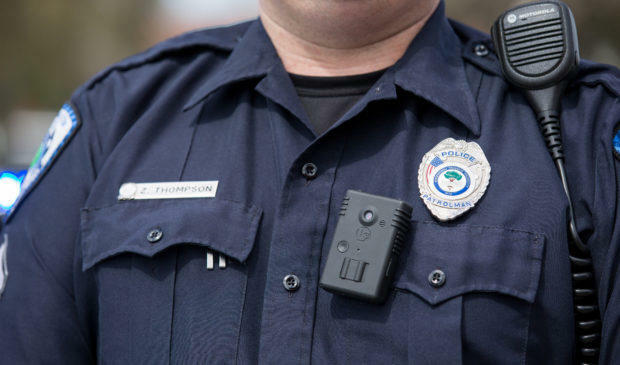 The coalition also suggested changing the statute of limitations for disciplining officers, which prevents the department from investigating or prosecuting an officer after 180 days have passed since an incident. “We wanted to change the 180-day rule … because of what we saw in the Breaion King case," Austin Justice Coalition founder Chas Moore said, referring to a use-of-force case in 2015. Important details about the incident weren't discovered by the police chief until 180 days had passed. Although the officer's commanders knew the details and disciplined him, the 180-day rule kept the chief from looking into the case and disciplining him further. The police union initially resisted any change to the rule outright but eventually agreed to give the police chief or assistant chief 180 days to investigate and prosecute suspected infractions from the day they find new information. “I hope that everyone sees that we did accomplish a lot of what our mission was this time around," Watts said. "So, I’m happy with it." Moore said the coalition is unsatisfied with the contract because it got only two and a half of the changes it asked for. Detective Ken Casaday, president of the Austin Police Association, said he was disappointed by the coalition members’ understanding of the contract. “The activists have bought in groups that say it’s the worst contract in the state of Texas, and I couldn’t disagree more," he said. "No one even has police oversight in their contracts, so how can you say we’re not the most transparent." The city and the Austin Police Association are meeting Tuesday to sign the deal, then the union must present it to its members for a vote. If it's approved, the contract will be sent to City Council to sign off.